RSVPS’ next venture Karwaan starring Irrfan Khan and Mithila Palkar, which also marks the Bollywood debut of South actor Dulquer Salmaan, is all set to release on August 10. Trade analyst Taran Adarsh confirmed the film’s release on his social media handles on May 14. Apparently, the makers of the film have unveiled the first look of the film sometime back in early 2017 and now they are back with the official poster of the film featuring the main cast of the film. The first poster of the film has an interesting concept as the makers of the film have introduced three lost souls, two dead bodies and a promise of a lifetime journey with it. 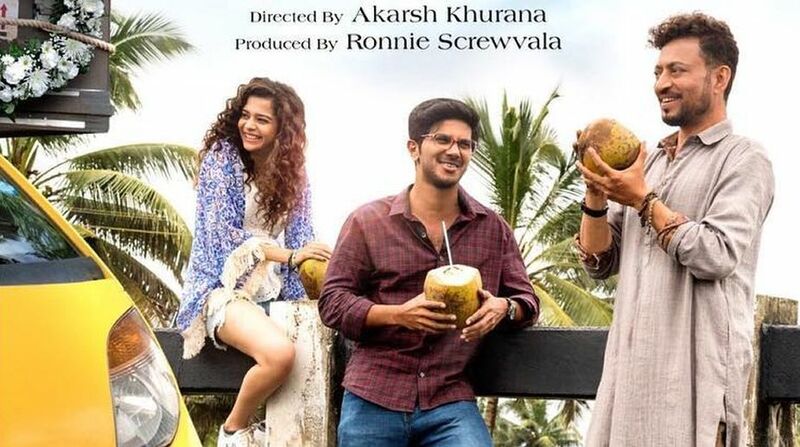 Karwaan revolves around three oddballs from different walks of life, who are thrown together on a somewhat bizzare journey, which will help them find normalcy in their lives. The film is being directed by Akarsh Khurana and features a promising star cast in the lead roles. The film has been shot in the beautiful locales of Kerala, which will surely be a visual delight to all the masses. Karwaan is all set to release on August 10 and will kickstart the promotions of the film once Irrfan is back from London for the treatment of his recently diagnosed neuroendocrine tumor.